Mubasher: Qatar National Cement announced that the company’s ordinary general meeting (OGM) approved the distribution of 50% of the company's share capital as cash dividend at QAR 5 ($1.37) per share for 2018. The Qatari firm approved the 2018 financial results, according to the company’s statement to the Qatar Stock Exchange (QSE) on Monday. The Qatar-listed company succeeded in producing white cement last year for the first time in Qatar in a bid to diversify the company’s products, chairman Salim Bin Butti Al-Nuaimi said in the statement. The company accomplished many achievements including the initial delivery of all parts of the cement plant no. (5) with a capacity of more than 5,000 tonnes per day, Al-Nuaimi added. 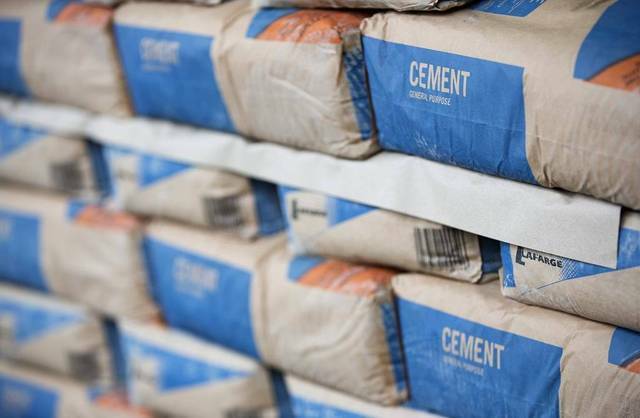 Qatar National Cement’s profit grew 6.4% to QAR 347.83 million ($95.52 million) in 2018, compared to QAR 326.92 million ($89.78 million) in the prior year. Latest news on QATAR NATIONAL CEMENT CO.
03/31 Domestic funds turn increasingly bearish on QSE; transport, telecom stocks we.. Chart QATAR NATIONAL CEMENT CO.
Technical analysis trends QATAR NATIONAL CEMENT CO.